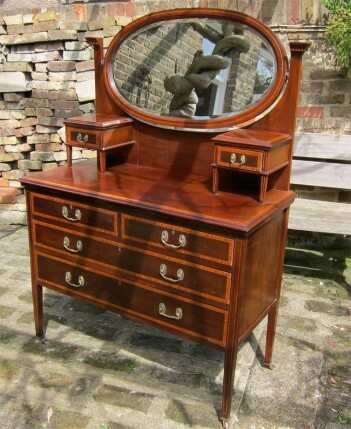 Edwardian Mahogany Inlaid dressing table with oval mirror. Everything is original, the handles, mirror and castors. This is a superb quality piece or furniture in fantastic condition. W: 107cm D: 50cm H: 151cm to the top of the mirror.